Many of you will know I suffer with rheumatoid arthritis and I was intrigued when a recent opportunity came my way. 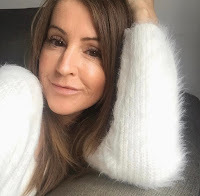 I was offered the chance to take part in a blogger trial through the Thirty Plus blogger group which involves taking a liquid silicon supplement over an 8 week period aimed at providing benefits to the hair, skin, nails and the bit that got me, connective tissues and bones. 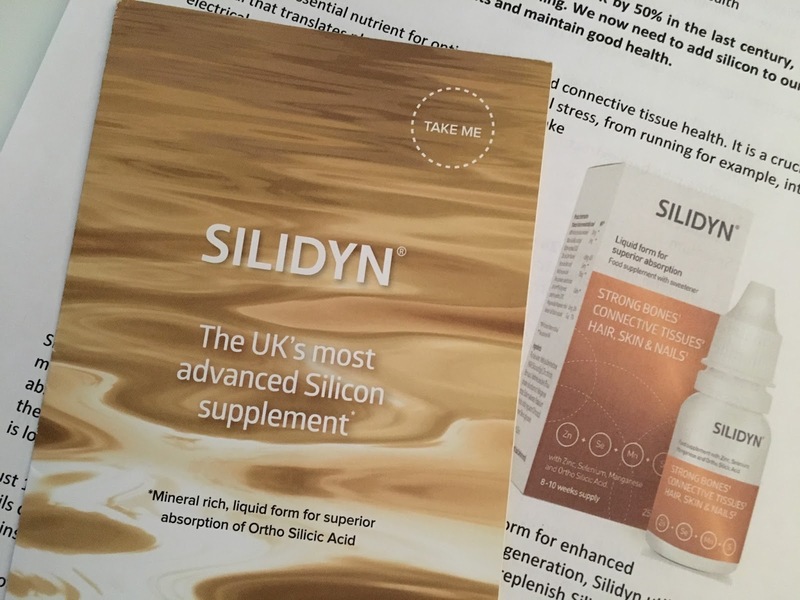 I read up on the product, put my name forward and received my bottle of Silidyn*, the UK's most advanced silicon supplement. Silicon is an essential nutrient for optimum bone and connective tissue health, strong nails and healthy skin. Low silicon levels have been found to be a factor in many bone conditions including osteoporosis and as with everything, as we age these levels deplete and fall naturally meaning our skin and hair loose elasticity and our nails become brittle and fragile and this is where the first signs of deficiency are noticed. Lots of research has been done and it shows that adding a silicon supplement to our diet can help aid the growth of new bone cells, help restore skin and nails and improve hair growth and strength. This is where Silidyn comes in. It's a liquid formula with a highly bio-available form of Ortho Silicic Acid that also includes other minerals essential for the body, zinc, manganese, and selenium. Although I have all the leaflets (and have read them) it's pointless me trying to tell you about the scientific side, you really should read it for yourself. Silidyn is so easy to take, no pills to swallow, you just add 8-10 drops to water, juice or even your tea/coffee if you like and drink. It's virtually tasteless so doesn't alter the taste of your chosen drink in any way. I'm usually no good at taking stuff like vitamins, I'll get off to a good start and loose interest but I'm around 4, yes 4 weeks in with this and it's going well. I leave it on my kitchen side, near the kettle and then I remember to take it everyday. One bottle provides a 8-10 week supply and you should take it all to see the full benefits although some may see benefits sooner. To be honest I think I can already at just half way through but I plan to do a full review once I have completed the 8-10 week programme. I am really hoping I see some improvement in my joint pain. 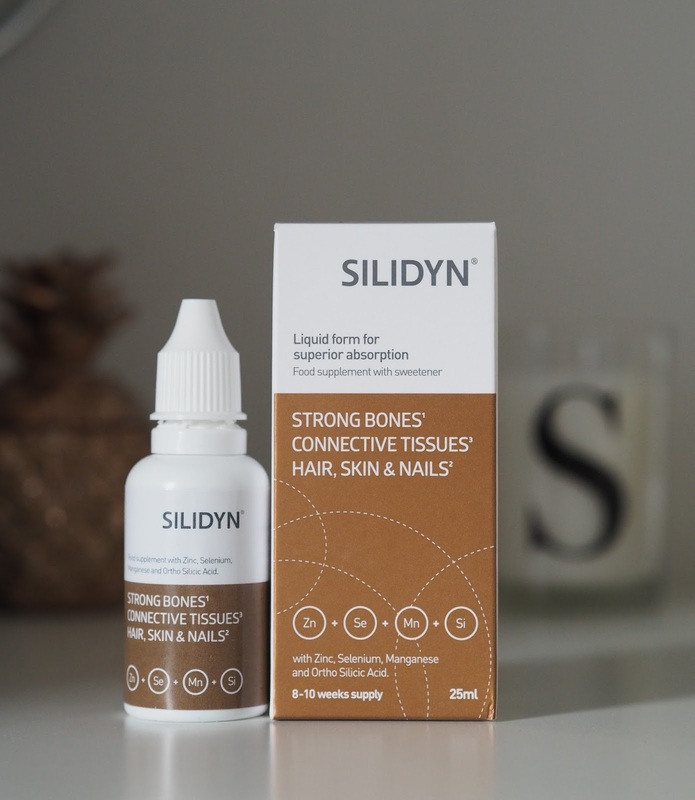 Do you want to try Silidyn for yourself? Leave your Twitter details in the comments too I will follow back the first five on Twitter and then DM for your email address to pass on. The Silidyn team will take it from there and send you the bottle with all the info you need, and leaflets on the science-y stuff!!! It's also worth checking out their Facebook page here. The important bit - as with anything it's vital that you do your own research and reading up before taking any type of supplement and especially if you're taking any kind of medication run it by your doctor first! I'll be doing an updated post with my results as soon as I've completed the programme so stay tuned folks. *product sent to me for review but all views and opinions 100% my own. Sounds fabulous and great post. I have cataplexy and although not connected I have got a weak right side so anything to help really. Cataplexy is the weirdest 'thing' to have ever! Sounds amazing! Think I could do with trying this as my nails are so weak and flaky it's crazy!! Looking forward to your final thoughts on it! Wow ! It is useful or multiple reason, I was looking for that types of supplements which is beneficial for many purpose at a time. Find the best variety of prohormones Cutting Stacks for body maintain at best price.